Georgina Burnett is a BBC and ITV presenter, property and DIY interiors vlogger, writer and property developer. She was born in Australia, but is British White/Polynesian. Although Georgina graduated from Warwick University with a 2i in English Literature, her first job was selling houses and flats off-plan for Polaris World. Georgina has now appeared on a number of television and online channels. These days she is best known as the presenter of The Home Genie. She is also a regular freelance presenter and reporter for BBC News and Weather. You can often hear Georgina on BBC radio and chatting about property and DIY decor with Martin Roberts on Talk Radio. 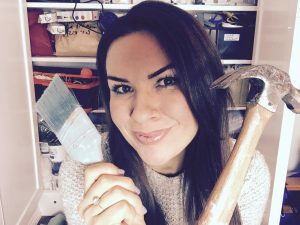 When Georgina’s not presenting she’s getting her hands dirty renovating her own properties. 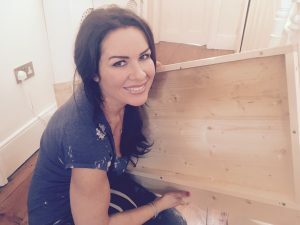 Her almost obsessive passion for interior design, DIY and upcycling has brought her great success with mainly period properties. These have ranged from one-bed flats in Folkestone to her latest project, a seven-bed townhouse in Sevenoaks. 25 Beautiful Homes Magazine featured her most recent project. Georgina will be speaking about her subject at this year’s Ideal Home Show. 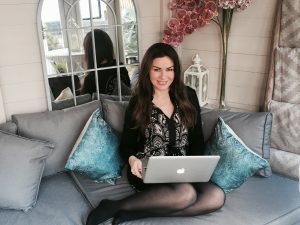 You can follow her adventures and tips by subscribing to her blog and vlog The Home Genie which is in the finals of this year’s UK Blog Awards. 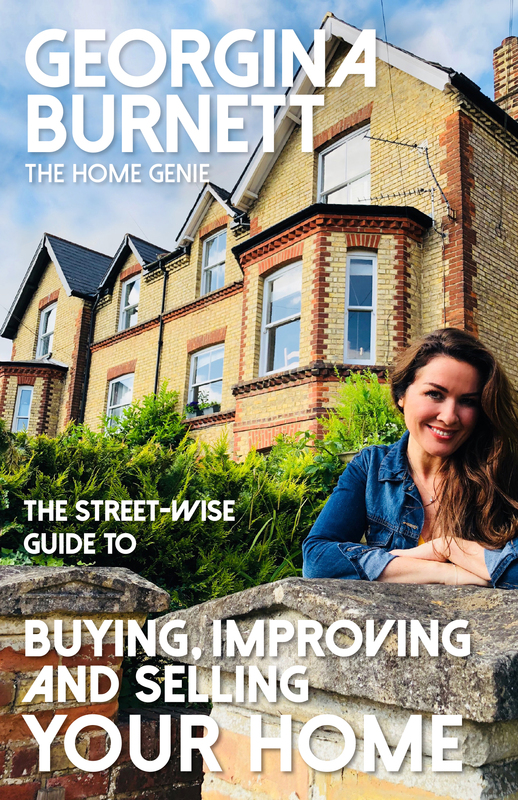 Georgina also has a book coming out this autumn called A Street-Wise Guide to Buying, Improving and Selling Your Home. You will often find Georgina’s expert comments in publications like The Sunday Times, The Sunday Telegraph, The Guardian, The Independent and interiors magazines. She was also featured in Metro. As if this wasn’t enough to keep Georgina busy, she’s also been life coaching for 12 years. She marries her skills as a property developer and coach by helping clients to transform their houses into inspiring homes. In 2017 Georgina became an ambassador for Groundwork and is a judge for The London Upcycling Show. Follow Georgina on Facebook, Instagram and Twitter to hear about her latest interior design project and her life as a busy mum. She loves to hear about your day too!